Change plates are meant for use with bumper plates to add weight in the smallest increments. Available in kilogram sizes only. Choose from 0.5, 1.0, 1.5, 2.0, 2.5, 5 kg. Sold individually. 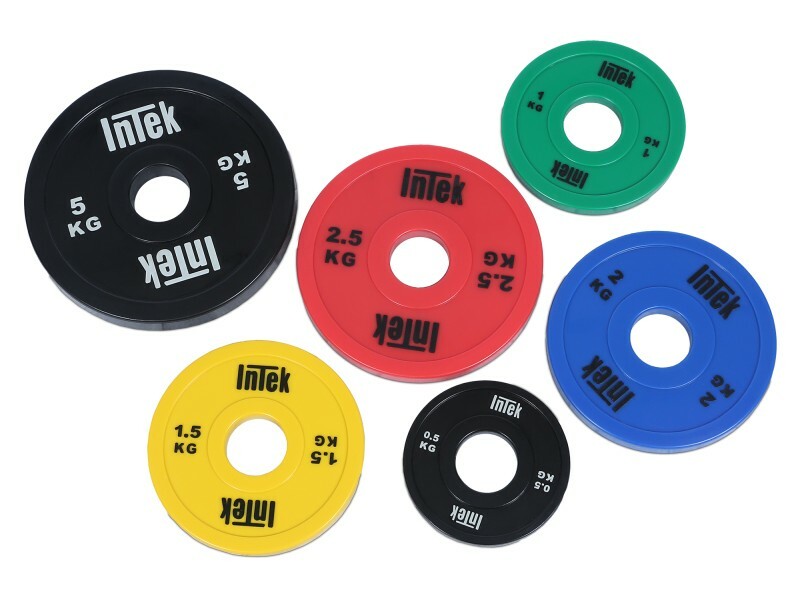 These are the best urethane change plates you can get, denominated in kilograms. Urethane lasts virtually forever and doesn't degrade like rubber.